This tutorial shows you step-by-step how to install Kodi Raspberry Pi Zero, 1, 2, and 3. The easiest way to install Raspberry Pi Kodi version is to use BerryBoot. BerryBoot is a “boot-manager” or “boot loader” for Raspberry Pi – and it’s the better of at least two boot managers which currently exist. Why do we prefer BerryBoot over NOOBS? We prefer BerryBoot over NOOBS to install Kodi Raspberry Pi Zero because Berry Boot allows us to install multiple OSes on 1 card. The other Raspberry Pi “bootloader” (other than BerryBoot) is called NOOBS. NOOBS is great for installing one operating system. But BerryBoot allows us to install several operating systems on one memory card, which (in our opinion) is better than the NOOBS limit of 1 OS per memory card. However – if you want to dedicate one memory card to one operating system (Kali Linux, for example), then do that easily with NOOBS! Note: OpenELEC currently installs Kodi 16 Jarvis for Raspberry Pi Zero. For Kodi 17 Krypton, try OSMC or LibreELEC! Copy the contents of the berryboot-20161118-pi0-pi1-pi2-pi3.zip file and paste them all onto a clean Micro SD card. Using the BerryBoot operating system menu, select “OpenElec“. Don’t worry! OpenELEC is the operating system that auto-runs Kodi for us on Raspberry Pi zero, 1, 2, and 3. Wait for BerryBoot to download and install OpenELEC, which is a “version” of Kodi. After OpenELEC installs, reboot your Raspberry Pi. Now boot up into OpenELEC, which you can do by simply letting BerryBoot do its “startup thing”. After Kodi is all booted up, install TV Addons using Indigo > Config Wizard! Here’s my video tutorial on how to Install Kodi on Raspberry Pi 0. It’s actually for Raspberry Pi 3 – but the process is the same for all Raspberry Pi’s as long as you download the latest version of NOOBS from the official RPi download website.. Does Kodi Work on Raspberry Pi (Zero)? Yes – Kodi runs very well on Raspberry Pi Zero using OpenELEC! I was pleasantly surprised to see actually how well “OpenELEC” version of Kodi works on my Raspberry Pi Zero Wireless. I was watching movies with Exodus in minutes. Kodi works extremely well on my Raspberry Pi zero, which is pretty much the weakest computer in the RPi Family. Since Kodi Raspberry Pi Zero works very well, it’s safe to assume that Kodi Raspberry Pi 3, 2, and 1 work even better. Additionally, I owned a Raspberry Pi 2 a few years ago and I confirm that Kodi worked well on it at the time. I was also able to easily listen to a Podcast in the Music section of Kodi (Apple iTunes Podcasts). 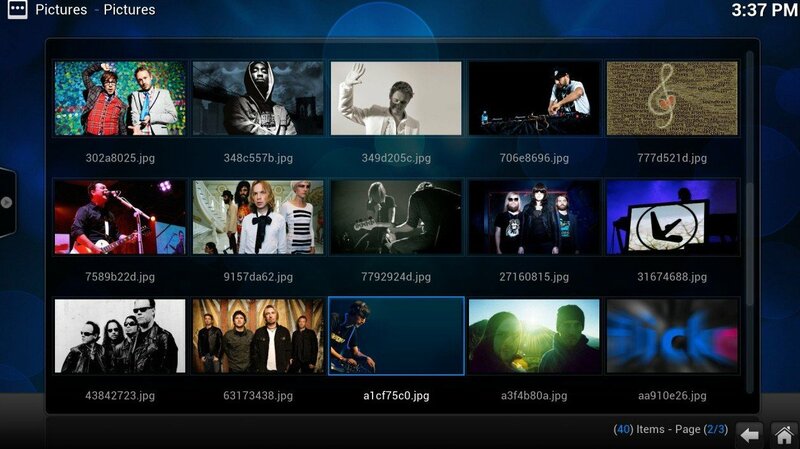 Don’t forget that Kodi is just as excellent at playing music as it is for playing streaming movies & TV show episodes! Check out Kodi’s Radio app, Apple iTunes Podcasts, and even SoundCloud addons (aka plugins). These are all automatically installed using the Config Wizard, which is now found in the Indigo Wizard. How do I install Indigo Wizard? Install Indigo Wizard by following our video tutorial on how to install TVAddons.